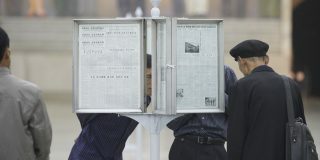 Chinese students of Korean at Yanbian University are enrolled on a major called ‘North Korean language’ and receive extensive instruction in socialism. But few have chosen degrees in Korean out of any interest in the subject, which they in fact learn from Chinese Korean teachers and textbooks preferring the Southern variety of the language. As a result the DPRK, only 20 miles away, could not be further from their minds. “Wait a minute everyone,” shouted newly-appointed banzhang, or class monitor, Jianye as the Korean grammar lesson ended and Group 14 stood up to leave with a bone-jarring scraping of chairs. In one grumble Hongyao had unwittingly dismantled the efforts of the Chinese Communist Party and its education gurus to stretch the definition of socialism across an improbably vast sweep of human history. The thinking seems to be that if the PRC’s youth grows up understanding that versions of socialism were being practiced centuries before the term even existed, then perhaps today’s rather specious claim that ‘Socialism with Chinese Characteristics’ is socialist will sound more plausible. Indeed, in common with students across the People’s Republic, Jianye, Hongyao and their 30 Han Chinese classmates on Yanbian University’s first-year undergraduate Korean course receive a generous dose of Marx- and socialism-themed education. YanDa, as the university is known in Chinese, has a College of Marxism where, from day one of freshman year, students from every major study dialectal materialism and class struggle and read, or at least studiously pretended to have read, selections from the Collected Works of Mao and Stalin’s On Questions of Leninism. 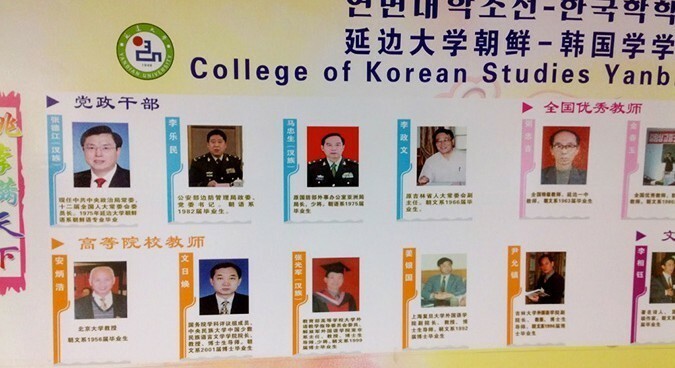 In light of this, and the fact that the group whose classes I attended are on a major called Chaoxianyu (or chosonmal, the name for the Korean language in the North), an unwitting observer might expect students to show at least a modicum of interest in the DPRK – which lies less than 20 miles away from campus. But such an observer would need to be entirely unfamiliar with China’s jiulinghou (born post-1990) generation to make such a presumption. Soon after I joined the class, Yuhao, a chubby, awkward and beaming 19-year-old (and one of only five boys in the group) bounded up to me to ask if I was interested in rap. From his home in Binzhou, an unremarkable town in northern Shandong province, Yuhao had trawled online hip-hop forums for years, was more familiar than anyone I had ever met in China with the 1990s East/West Coast rivalry, and could provide a potted history of 20 years of life in Compton from Dre to Kendrick. This fascination for all things gangsta was unusual, but as I got to know the rest of the class, it soon became clear that the interests of all these future Korean graduates were similarly distant from the DPRK, and often anything Korean-related at all. Even South Korean dramas were widely seen as a niche hobby, and conversation topics ranging from English footballer Wayne Rooney, PRC actress Fan Bingbing and strategies for beating smartphone game Clash of Clans were of far greater concern. Typically students here had not even really chosen to study Korean specifically. Jianye, my desk-mate or zhuoyou as well as class monitor, had picked Yanbian University as a safe second option when taking his gaokao college entrance exam. Having not made the grade required by his top choice he was assigned here, although his score was still solid enough to allow him free choice of major. Despite having always preferred science subjects, he chose Korean as it is widely recognised as YanDa’s most prestigious department and would thus be an avenue to a good job. 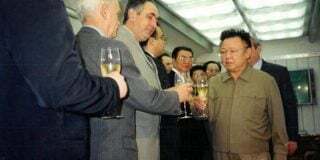 Nevertheless, Jianye and others happily admitted that their later careers could well have nothing to do with Korean. It was the reputation of the school and department that mattered. Students from other majors widely consider YanDa’s Korean College to be dominated by geeks, or xueba – a term whose Chinese characters literally imply ‘hegemon of studying’ – and indeed, the College boasts several illustrious alumni. Chief among these is Zhang Dejiang, current Chairman of the Standing Committee of China’s National People’s Congress, and thus number three after Chairman Xi Jinping and Premier Li Keqiang. Zhang studied Korean here in the 1970s, subsequently moving south to receive an economics degree from Pyongyang’s Kim Il Sung University in 1980. Little captures the novelty of China’s modern-day rise better than the fact that the top three leaders of the world’s second largest economy are now a man who lived in a cave for seven years, a former-leader of the Communist Youth League, and a Kim Il Sung economics graduate. My classmates knew about their important predecessor – his photo was in the foyer – but practical, as well as prestige-based, considerations also played a role in their university choices. 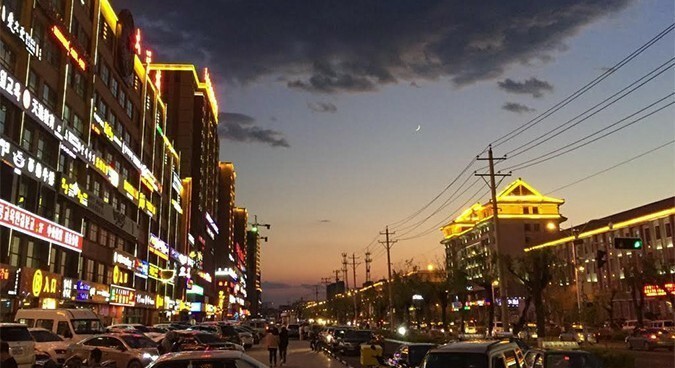 For Jianye, YanDa was appealing since it was not too far from his home in Changchun, the capital of Jilin province where Yanbian is located. Around half the group was from dongbei (Northeast China), with the remainder having hometowns all over China, from Shenzhen to Chengdu or Beijing. The dongbei group included three students from Yanji itself, the only classmates living at home and not in crowded four-bed dorm rooms. They served as constant sources of local knowledge for the rest of the group who would approach them to ask where to buy cheap food and fix smartphone screens. Yet as lessons began with a crash course in Hangul, the limits to these home students’ advantage, and the imbalance between the level of mutual understanding between Yanbian’s two major communities – Han Chinese and Chosonjok – became apparent. None of them knew any Hangul at all, despite having grown up surrounded by Yanji’s bilingual signs. Most soon got the hang of things, however, and the course rapidly picked up steam as we rote learned, repeated and, in the case of the hapless Jianye, were thoroughly confused by the exercises from our YanDa-published Basic Korean textbook. Despite the official Chaoxianyu label for the major, the word used for ‘Korean’ in the textbook’s title was in fact Hanguoyu (hangukmal: (South) Korean) and the texts for each lesson were full of terms particular to the southern variety, from hwajangsil (washroom) to non-DPRK borrowings such as heeoseutail (hairstyle) and kaejueol (casual). Yet with the teachers all being local chosonjok and speaking with Yanbian accents, it was hard to know precisely which version of Korean everyone would end up with after four years. With all the Korean, Marxism, and mandatory lessons in another language – either English or Japanese – Group 14’s days were long and rather monotonous affairs with lots of sitting listening and little encouragement to ask questions. Yet the daily grind was occasionally punctuated by moments of excitement, from experiences of low-level politics to rare chances to develop a new hobby. Class elections were an opportunity for students to volunteer to fill the position of banzhang, deputy banzhang, and posts responsible for sport, arts and culture, social cohesion, and propaganda dissemination. These roles mirror positions which students might later assume in work-based Communist Party structures if they are accepted as party members (most apply as freshmen but do not hear whether they are accepted until their senior year) and as such attract stiff competition. Almost everybody ran for a position, although only one person – one of the group’s 27 girls – put herself forward for banzhang. However, the teachers who reviewed the votes, which we had scribbled on improvised ballot papers torn from exercise books, somehow determined that Jianye, one of only five male class members, was more representative of the group. But this top-down electoral gerrymandering seemed to phase no one: one does not reach Zhang Dejiang’s position by complaining about such things. With roles assigned, class members took it in turns in the second semester to give presentations about aspects of Korean culture, history or life which they found appealing. As was by now expected, none of these had anything to do with North Korea. Students copied lumps of text about South Korean footballers, film stars or foods from Baidu Baike (Chinese Wikipedia) into pirated versions of PowerPoint and, although it appeared most had chosen their subjects at random, the process of presenting seemed to spark a genuine interest in many for subjects like Park Ji-sung and bibimbap. Hip-hop fan Yuhao brought in miniature speakers and chattered excitedly and at great speed about Seoul-based acts Unpretty Rapstar, Big Bang and G-Dragon. His roots were clearly still on the streets of Binzhou, but he wasn’t averse to discussing the poppier end of the rap spectrum. During a break between classes not long after his presentation, Yuhao leant over to me earnestly from the neighbouring desk. “Hey, hey, can you help me with something?” he said. 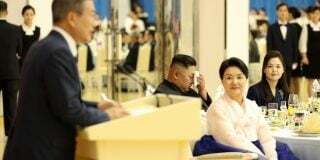 “What’s the meaning of the English word ‘swag’?” Such questions are not asked by people who are likely have much curiosity about acts like the Moranbong Band, or indeed about the DPRK as a cultural entity in general. 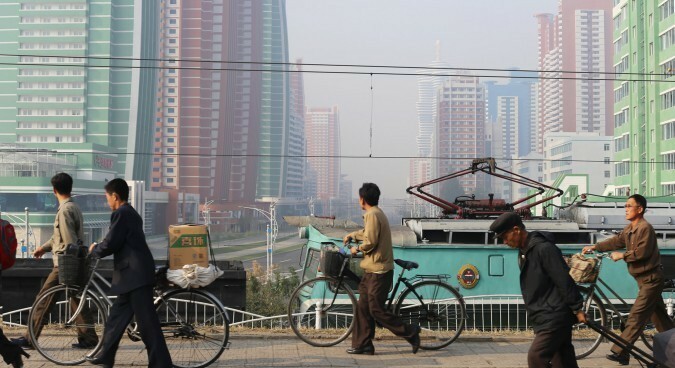 Nor do China’s and North Korea’s past political affinities excite young people who live in a world increasingly dissonant with the lessons of Marx or Mao. Chinese students learning Korean on the DPRK border still learn in an environment with many of the hallmarks of socialist mass education. Large groups sit listening for long days and are required to put up with a lot of socialist rhetoric. This they do, dutifully composing essays on subjects which would prove a challenge for professional social theorists. But in the spaces they find between such exercises, they are also able to indulge interests in the latest gadgets and trends. 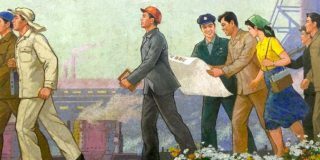 The DPRK’s claim to be building orthodox ‘socialism’ may today be as hollow as China’s, but as things stand the deviation is not yet substantial enough to excite Yanbian’s xueba. Subscribe to read the remaining 1828 words of this article.